All eyes have been firmly fixed on the Mobile World Congress in Barcelona over the last few days as consumers watch eagerly to see what technology-related goodness is set to hit the shelves in the coming weeks and months. So far we have seen Symbian smartphones with whopping 41-megapixel cameras, a tablet device which comes equipped with a stylus, and a Samsung Beam smartphone which has the ability to project images, videos and presentations onto any surface. Exciting stuff. The MWC got a little bit more exciting today as Microsoft took stage front and center, holding an event in which they announced and made available a Consumer Preview version of the much anticipated Windows 8 operating system. Obviously, for those Windows fans around the world, that is big news and I am sure there will be some excited Redmond fans lapping up the information and heading on over to grab it. We know what you’re thinking, that is great news, but we want more. Well, if more is what you want then how about official Microsoft 8 wallpapers and lockscreens? It doesn’t matter whether it is a desktop machine, a mobile smartphone, Windows or Mac OS X, everyone loves a good wallpaper and personalizing the working space is always a high priority on people’s list when installing a fresh OS. The guys over at Win8China managed to get their hands on the leaked images from the Consumer Preview release and posted a compressed file online which contained seven wallpapers and six lockscreens. For those who are regular horticulturists, you won’t want to miss this as most of the wallpapers are lovely floral offerings which thanks to the vivid colors is sure to light up even the dullest of desktops. 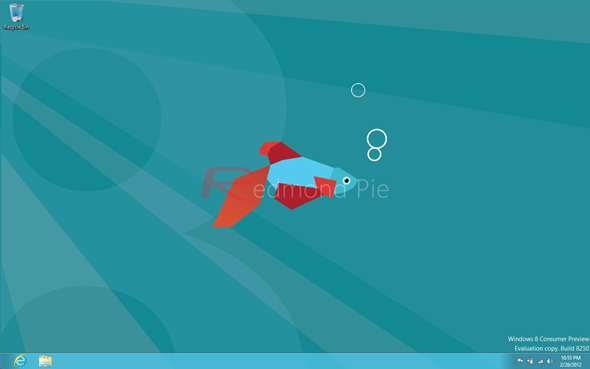 One of the wallpapers is a Metro-esque redesign of the Siamese fighting fish we saw in Windows 7, which actually looks very awesome. Two of the included images look as if they are designed to be used in a dual-screen setup which gives an indication that Windows 8 will offer enhanced support for multiple monitors. 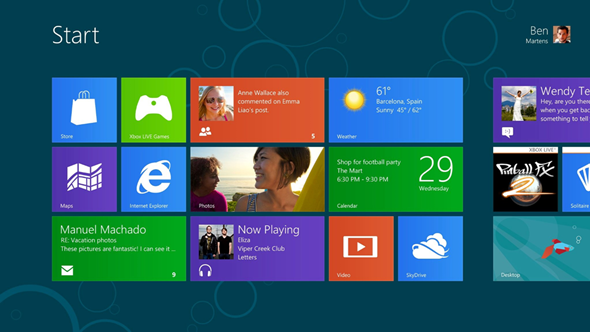 Through, during the beta process, the Microsoft team have been extremely open about the development and features contained within Windows 8, taking every opportunity to blog about it and keep consumers in the loop. This is a tactic which is in stark contrast to other tech companies like Apple who prefer to keep a tight lid on any enhancements or new features to any of their software releases. With over 525 million copies of Windows 7 sold since its launch three years ago, Microsoft will be hoping that Windows 8 enjoys the same success rate. Head on over to the R27 blog and follow the download link at the bottom of the screen to get your hands on the wallpapers.